France, it would seem, has had enough of American surveillance. 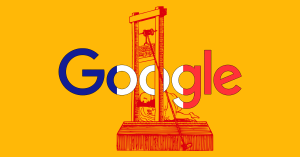 Most notably, according to a new story in WIRED, the French Ministry of the Armed Forces announced last month that the French military will no longer default to Google’s search engine, instead using a French one called Qwant, which says it doesn’t exploit user data. The underlying logic is that the fewer non-European powers that dominate the French and European markets, the fewer backdoors the NSA and other foreign agencies can use to spy on the government and people of France, reports WIRED. And with that independence, according to WIRED‘s analysis, France is less likely to become a “digital colony” of America or China. That push was inspired by Edward Snowden’s 2013 leaks that revealed the NSA’s ongoing monitoring of foreign governments, as well as the more recent Cambridge Analytica scandal and other leaks and data hacks within the giant technology and social media corporations based in the U.S. The French government’s concerns over digital sovereignty are well-founded. Lee also predicts that AI have-nots could become subservient to the countries that AI leaders — very same tech giants France just ousted — call home. If it wants to nip any risk of America or China’s digital colonialism in the bud, France’s pushes for virtual self-dependence could not be timelier.